Clean water is essential for the health of our economy and communities. Vermonters - including farmers and landowners - are embracing their responsibility to do their part in protecting Vermont's waterways, and UVM Extension staff and faculty are available to help. More than 1.2 million acres of Vermont land is devoted to farming, and agriculture is one of our most important industries. As a whole, agriculture preserves open land, provides us healthy local foods, and is an essential part of Vermont's identity. At the same time, Vermont's waters are critical to our economy and to our quality of life. We do not have to trade one for the other. Vermont's RAPs are an important tool designed to help farmers implement effective waste management practices that simultaneously promote the long-term viability of farms and the health of our state waterways. Providing soil tests and nutrient recommendations for farmers statewide. 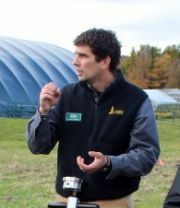 Serving farmers across Vermont, particularly those in the NW and the Lake Champlain Watershed. Many of the resources we suggest are based on the belief that healthy soils will help you protect water quality, and also will increase profitability, help sequester carbon, and increase your farm's resiliency to withstand extreme weather events. Healthy soil means both healthy water and a more profitable farm operation. Our top recommendation for anyone working with the land is to consider soil health, including building soil carbon, reducing tillage and covering the soil 24/7, as your first priority . Familiarize yourself with Vermont's Required Agricultural Practices. Find a farmer group in your area (see list towards the bottom of this page) so you can learn from your neighbors what is and isn't working for them. Let your UVM Extension staff and faculty know if we can help! We are here to help with nutrient management plans, and other ways to assess and address the particular situation of your farm, considering both profitability and environmental impact. 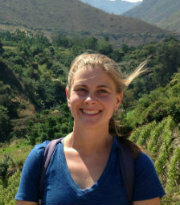 Champlain Valley Crops & Soils Team's main web page, with links to a range of resources for farmers in Addison County and the Lake Champlain Watershed. Northwest Crops & Soils Team's Soil Health and Nutrient Management page, which has extensive resources and information available. 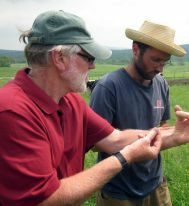 Agronomy & Conservation Assistance Program (ACAP) , a joint effort of the Vermont Agency of Natural Resources (ANR), UVM Extension, and the Poultney-Mettowee Conservation District. Farm Viability Program for more information about this work to support farmers' efforts towards financial sustainability, including resources for financing conservation efforts. 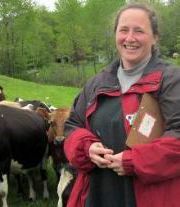 Want to learn more about Vermont’s Required Agricultural Practices? Take the RAP Online Quiz! 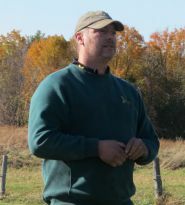 The RAP Online Quiz, an engaging educational course created by the Orleans County Natural Resources Conservation District, includes an outline of how the RAPs apply to your farmstead, ﬁeld & nutrient management, with video and photo examples of commonly misunderstood RAP topics, such as livestock exclusion from surface water, information on how diﬀerent management practices impact water quality, and links to resources for grants and assistance. The quiz takes about an hour to complete and farmers will receive two water quality credits upon successful completion. 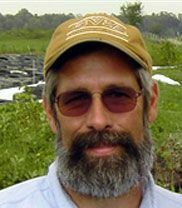 Connecticut River Farmers Watershed Alliance: a farmer-led group aimed at helping farmers implement environmentally sound practices in Vermont & New Hampshire. Farmers' Watershed Alliance : a Franklin and Grand Isle based organization that provides assistance and funding to farmers to help minimize environmental impacts. 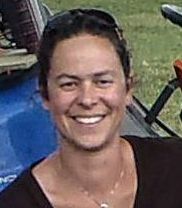 Champlain Valley Farmer Coalition : a group of Farmers in the Lake Champlain Basin who have taken on a leadership role to show that a strong Local Farm Economy and a clean Lake Champlain can work together. 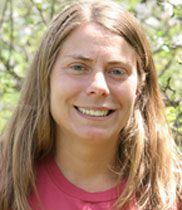 Conservation Reserve Enhancement Program Information on the Vermont Agency of Agriculture, Food & Markets' program that provides financial compensation for taking agricultural land out of production. Vermont Natural Resources Conservation Service (NRCS) Centers in Vermont A regional listing to help you find your local office. Environmental Quality Incentives Program A NRCS program that provides financial assistance to famers for implementing conservation practices on their land. 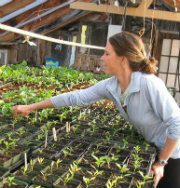 Vermont Association of Conservation Districts , which administers technical environmental programs across Vermont. 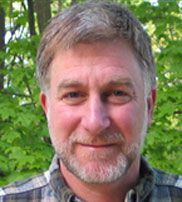 The Vermont Agency of Agriculture, Food & Markets ' page containing "an evolving collection of resources aimed at educating farmers, landowners, and Vermonters-at-large about the Agency's water quality program." Check here first for the latest updates to the Required Agricultural Practices. Learn more about VAAFM's support for innovative projects that help implement solutions to agricultural water quality challenges in this recent video. Vermont Farm to Plate's Strategic Plan for Water Quality Outlines how agriculture has impacted water quality in Vermont and provides information on a variety funding opportunities, initiatives and cost share programs available for farmers to help lessen their impact.